Salt and Pepper may look like twins, but in all other ways, they're nothing alike. Salt is a wild guy with messy fur and bad manners. Pepper is a little lady, obedient and sweet. 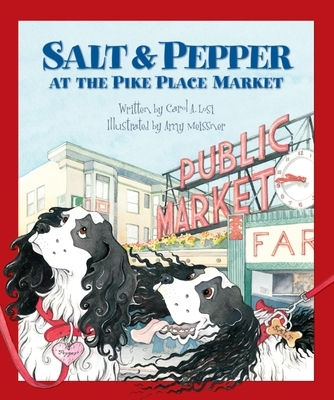 Then one day at the Pike Place Market, the crowd gets thick, the fish are flying, and two little dogs accidentally get switched, ending up with the wrong owners. Now what? After the switcharoo, the two spend a wild morning trying to figure out what's expected of them, while their owners are unaware they have the wrong dog. Children will delight in knowing this secret until another bout of confusion mixes everything up again, happily reuniting the dogs with their favorite people.